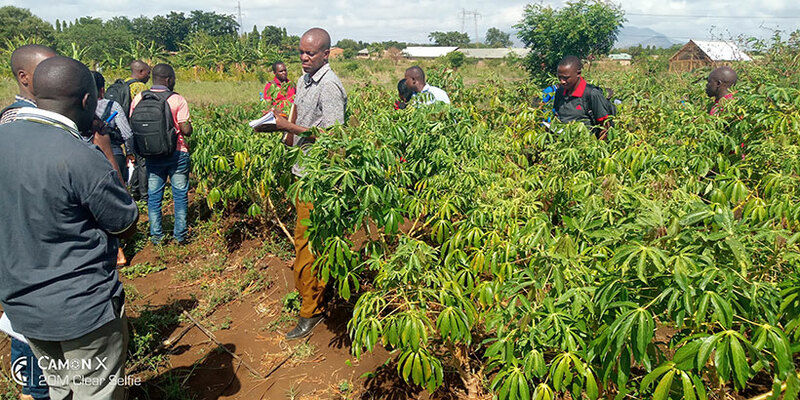 The Building an Economically-Sustainable Seed System in Tanzania for Cassava (BEST Cassava) project has trained over 70 Agricultural extension officers on cassava seed inspection and certification to become certified cassava seed inspectors. Agriculture extension officers receive training on how to use NURU to detect cassava diseases. This is part of the project’s efforts to ensure farmers in Tanzania have access to high quality planting materials of high-yielding, disease-resistant, improved cassava varieties to counter the current major threat to cassava production including the two devastating diseases―cassava mosaic disease (CMD) and cassava brown streak disease (CBSD). BEST cassava project, led by Mennonite Economic Development Associates (MEDA) with IITA and Tanzania’s Ministry of Agriculture as main partners, seeks to set up an accessible and affordable commercial cassava seed system for quality assured planting material of improved, disease-resistant varieties to increase farmers’ productivity and incomes. The training was conducted by a team from IITA and MEDA in partnership with the Tanzania Official Seed Certification Institute (TOSCI) in the Eastern, Lake, and Southern zones of Tanzania. “We are training the extension officers to become authorized inspectors able to certify cassava seeds in the cassava growing regions of Tanzania. This will ensure we have sufficient experts to effectively work with farmers and TOSCI to inspect and certify cassava seeds,” said Juma Yabeja, IITA Research Associate who coordinates the training and quality assurance component of the BEST Cassava project. The training covered all aspects of crop inspection from identification of cassava varieties in the field to inspection of cassava seeds. 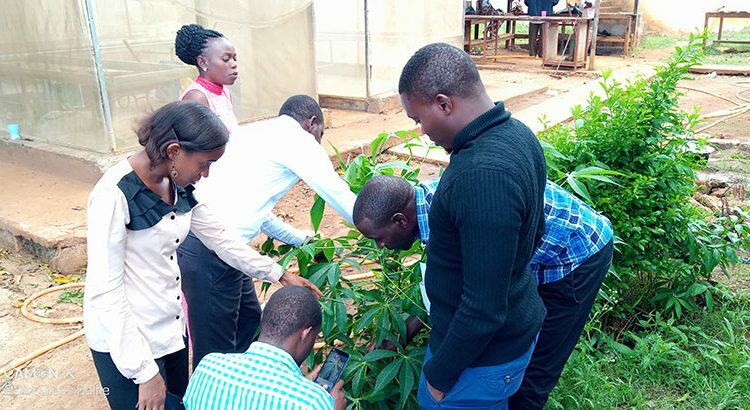 It also included identification of cassava viral diseases using NURU, the free mobile-app developed by IITA and The Pennsylvania State University, which uses artificial intelligence to accurately identify cassava diseases. On the progress of the BEST Cassava project, Juma said a significant number of farmers are adopting and planting the quality declared seeds, a promising indictor in the efforts to boost cassava production in the country. BEST Cassava project is also working to ensure sufficient flow of information between the farmers, certified cassava seed producers and seed inspectors, and other stakeholders. 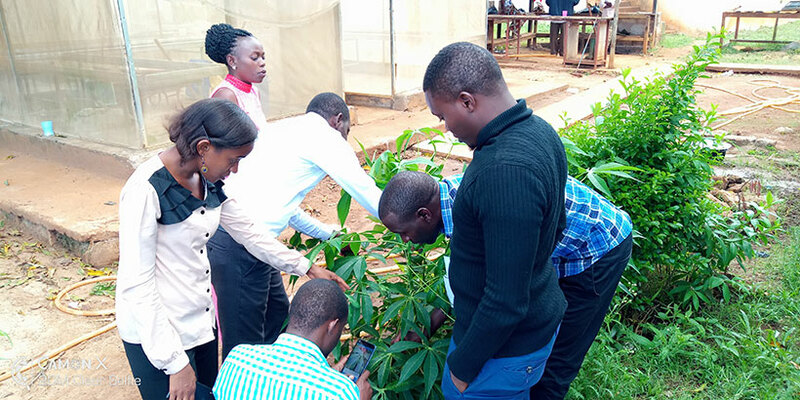 The project has introduced and is promoting the use of Cassava Seed Tracker, a digital web-based application developed by IITA that connects seed producers, seed traders, and seed quality certifiers, in Tanzania in partnership with the TOSCI and MEDA.